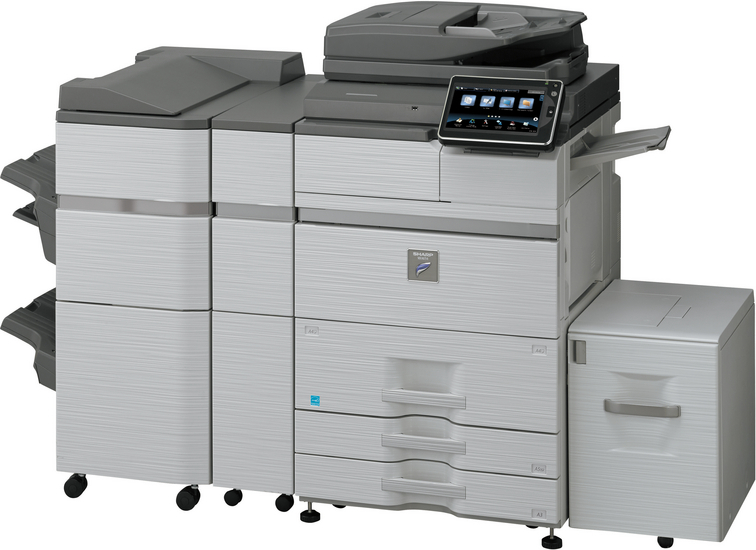 The MX-M754N is a fast and versatile, high volume A3 black and white departmental MFP that delivers all the quality, flexibility and reliability you need. 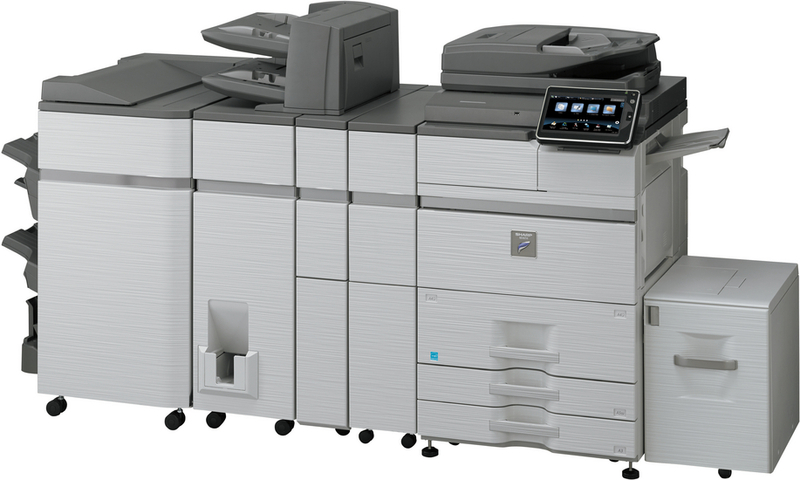 Not only does it produce exceptional quality images with professional finishing at speeds of up 75 pages per minute but everything about it has been designed to increase workgroup productivity. 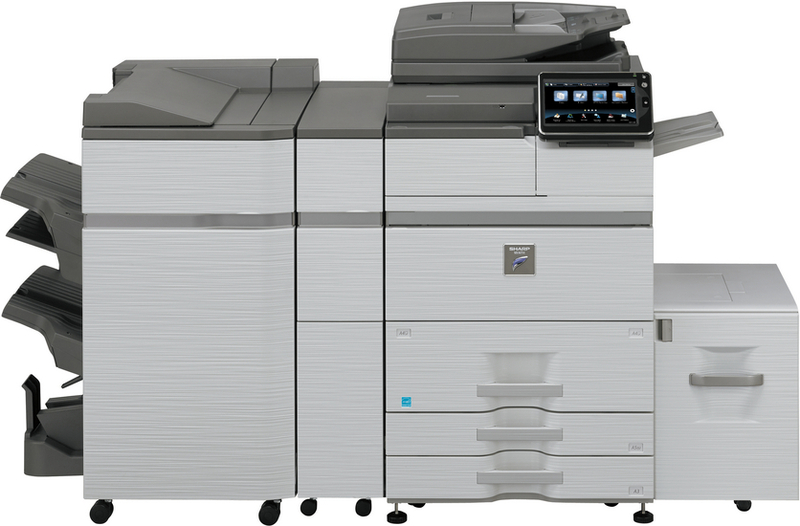 Complex jobs can be handled with ease thanks to a generous paper capacity; fast 200 ipm two-sided colour scanning; standard 150-sheet DSPF and a large colour touch screen. 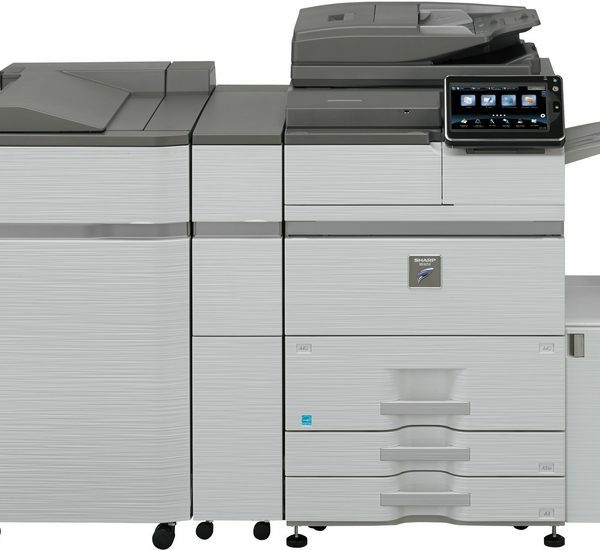 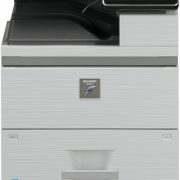 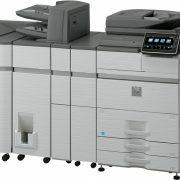 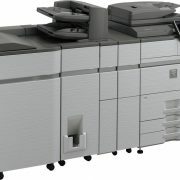 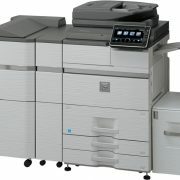 And with features like a 320 GB Hard Drive; powerful productivity tools; standard multi-layered security and a variety of finishing options including a 50-sheet or 100-sheet staple finisher, saddle stitch finisher, folder and inserter, the MX-M754N can meet all your document needs in one flexible solution. 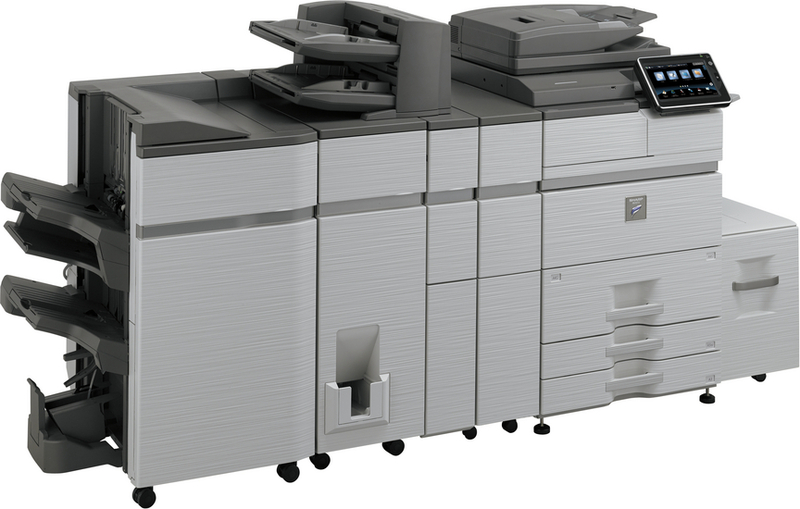 Sharp OSA is standard which opens up access to a wide range of third party software solutions. 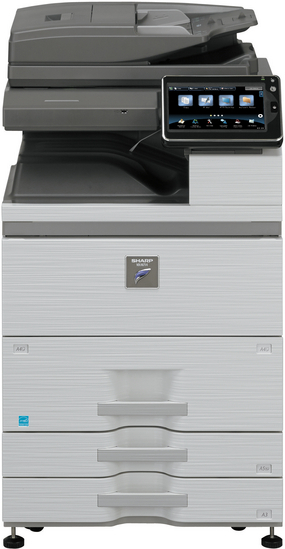 The MX-M754N is also environmentally responsible with several energy saving features and a TEC value that is among the lowest in this class.